A couple months ago I wrapped up my Helltown MLS player ratings and noticed that Zlatan Ibrahimovic had a very high number of 1.18 Non-Penalty Goals + Assists per 90 (NPG+A p90) minutes played. So high, that I couldn't recall another MLS player reaching that level. So, I looked it up. Here here's the list. You have to have played more than 1000 minutes. It was surprising to me that Alan Gordon topped the list, especially since I was neck deep in MLS at that time. Tis true, however. Remembering back, it was the "Goonies" San Jose Earthquake team that Chris Wondolowski (who won Helltown Beer Player of the Year in 2012) lead to a Supporters' Shield. The ended up losing to a motivated David Beckham, Robbie Keane team in the Western Conference semifinals. Noticeably absent from the top of this list is Martinez, who this past season set the new record for goals scored in an MLS season with 31. Great season, but not one of the most dominant when looking at total offensive production. 8 of his 31 were from the penalty spot and he only noticed 6 assists. That said, he does have a MLS Cup to his name. 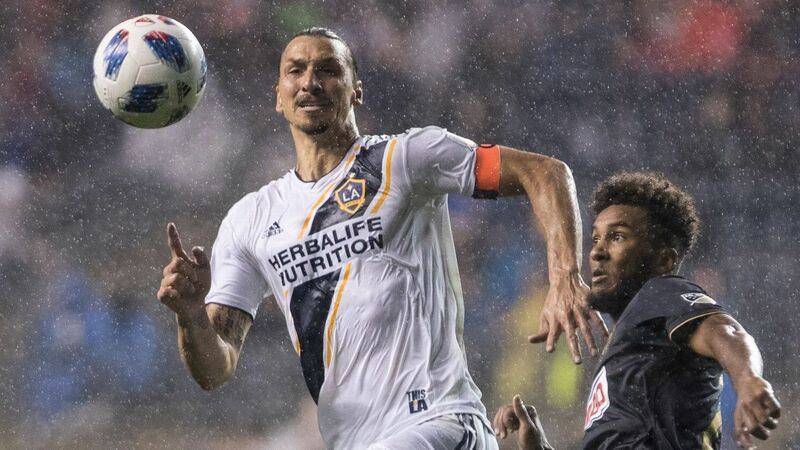 I expect Zlatan to come strong this year, in regards to goals and assists. He missed about a third of last season. With a full season, I fully expect him to be hunting for a number of MLS records. Looking at these leaders, I see a lot of trophies. Look for LA, if they can get their FO right, to win one or two this year.